Some may think that there really is no distinct answer to this question, and they may be right. It is difficult to discern which actions can be considered part of a religion, and which are part of human nature. The media often define how we make these distinctions. Because the U.S. media focus on a few ongoing stories, often covering them in an exaggerated or distorted fashion, the public may be misled into thinking that some aspects, such as terrorism or violence, are true Islam when they are not. Media consumers may be led to believe that some deviant Muslims are actually practicing their religion. However, Muslims must try not to let these misconceptions frustrate them, as Allah (SWT) said in the glorious Qur’an: “Tolerate patiently what they [the non-Muslims] say and part with them in a polite manner” (73:10). Perhaps giving up my seat in Borders was just an act of kindness, which can come from any religion. But on the same note, just as an act of kindness cannot be used as a symbol for a particular religion, neither can an act of violence. There is nothing at all “Islamic” about acts of violence and terrorism. In fact, to the contrary, Islam is completely against such actions, as the Prophet Muhammad (peace and blessings be upon him) said: “Faith is a restraint against all violence, let no mu’min [believer] commit violence.” Acts of violence and the like are simply the other side of human behavior: stirred emotions that come as a result of any group that feels itself less valued, no matter what its race or religion. Thus, in general, there are no concrete symbols that point to a certain human act as “Islamic.” The same follows for Christianity, Judaism, and other world religions. The main facet of Islam that could be considered unique, however, is that Muslims consider their religion as a way of life, as a guiding factor and preparation for the hereafter. Life, for Muslims, should be a mere path that leads to the hereafter, in which we are held accountable for every second we spend on that path following the commands of God. We must accumulate as many good deeds as we can so as to guarantee a higher place in heaven. In this manner, every act done, whether small or big is considered as being part of the Shariah, or Islamic law, and everything is done for the sake of Allah (SWT) in order to compile good deeds for the hereafter. The Shariah explains the specifics of how a Muslim should act and behave, how to sit and speak and how to care and share. A Muslim must treat others the way he wishes to be treated, with kindness and respect. Smiling at others is considered a form of charity. Most importantly, a Muslim is taught to care for and respect his or her elders and listen to his or her parents. Some of the qualities required of Muslims include being honest, truthful, trustworthy, modest, patient, tolerant, punctual, kind, generous, forgiving, brave and hard-working. Perhaps these qualities should be the basics of any human life. But that is the main reason why they are a must in Islam. So Then, What’s the Moral of the Story? As I gave up my seat for the elderly man to sit by his wife, I was doing a simple act that I had been raised to do, as my parents and religion had taught me, while expecting nothing in return. As the Prophet (p.b.u.h) said: “Do not think little of any good deed even if it is just greeting your brother with a cheerful countenance [face]” (Muslim). So even this little act of kindness is an important part of Islam, but cannot be judged as only a part of Islam. However, it is because such acts of kindness are the best part of human nature that they also should be considered the true acts of a Muslim. 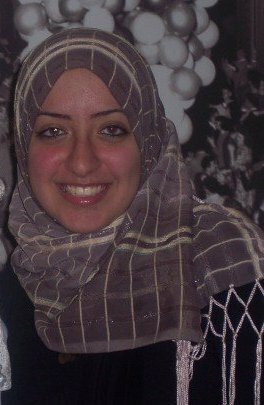 Heba Abdel-Karim currently resides in Fridley, Minn. and is a student at the University of Minnesota. Posted on February 19, 2008, in Uncategorized and tagged Allah, charity, Heba Abdel-Karim, Islam, kindness, Prophet, Qur'an, religion, Shariah, terrorism, true, violence. Bookmark the permalink. 8 Comments. Thank you for sharing a thought provoking article. Truly kindness is part of human nature, part of “fitrah” so to speak and it is Islam, a way of life as you say, that allows us to realise this humanity within us. An Intriguing article Heba! A peak into the soul of man (in this case young woman ;). A great way of looking at some of the daily minutae that we seldom take the time to review in our daily hectic lives. I love the depth to which you took this! If you translate “Muslim” as one who submits, it can fit the situation from many aspects. On the cultural level, you submitted to the mores of your upbringing; on the social level, you deferred to those you honor above yourself; on the level of faith, you treated others as you would have liked to be treated which is the basis of all world religions, thus submitting to God.